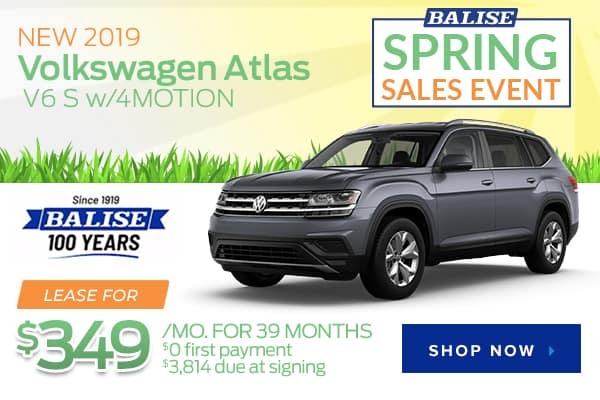 New 2019 Volkswagen Atlas V6 S with 4MOTION AWD (STOCK# VW7114, VIN 1V2GR2CA0KC509025) $349 per month lease for 39 months. 7,500 miles/year. $2999 cash/trade down + $0 security deposit + $0 first payment + $220 doc & title prep + $695 bank acquisition fee = $3814 total due at delivery. Sales tax, title and registration fees additional. Lease end buy option $20,166. MSRP $36,010. 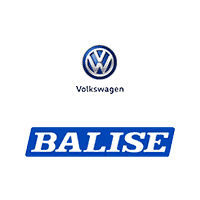 All incentives to dealer, cannot be combined with other offers. Finance and lease offers available to well-qualified buyers with Top Tier credit, not all will qualify. Offer ends 4/30/2019.